As business has grown more complex, fraud has evolved and adapted accordingly. Multi-level marketing (MLM), the most common form of pyramid/ponzi fraud, is the product of years of evolutionary adaptation in the scam and swindle field, matching the adaptation of the legitimate marketplace. Public awareness and law enforcement always lag behind new forms of fraud. The success of MLMs and other financial Ponzis at duping millions of people, rich and poor, educated as well as illiterate, shows that public understanding has not caught up to this new mutation. (3) Marketing fraud, in which consumers are induced to personally identify with the fraudulent company and to help it defraud others by becoming part of the marketing program themselves with their own purchases and personal promotions.All three are in operation today but public awareness is now quite strong in the first stage — product frauds. Regulation is also well established. “Lemon” laws, return policies, product safety rules, and trusted consumer alert publications are available now that help to protect people from the old plague of bad products and price gouging. Pyramid schemes may involve sales of products, and usually the products are over-priced or falsely promoted, but the basis of the fraud is not in the product at all. The fraud is in how they induce and persuade people to buy the products, that is, marketing fraud. Pyramid schemes may also involve predatory fees, hidden interest charges, and worthless “tools” and seminar costs, but tricky finances and added costs are, again, not the heart of the fraud, only, like the over-pricing of products, insult added to injury. Pyramids and Ponzis – today’s most pervasive and insidious consumer fraud — achieve their fraudulent purposes with marketing. With marketing, they dupe people in the ways that the other stages of fraud do, i.e., to buy (usually overpriced) products or services or make investments that they would not have otherwise done and to lose money from finance fees, added costs, and hidden charges. But, with marketing, they go much further and deeper. They mislead the victims to believe that the schemes are their personal pathway to success and happiness and to recruit their closest friends and family into the fraud also. This is truly a new and more virulent form of fraud. Pyramids and Ponzis can steal years time and a lifetime of savings. In doing so, they can frequently break up families, end friendships and destroy marriages. Some say the pyramid scheme has the power to steal people’s very souls. Indeed, some people who are infected by the fraud seem to lose their minds, their personalities, their ethics and their values. They appear addicted and to behave like followers of a cult. What is the source of this fraud’s power over people? Why are so many people vulnerable to the virus? It is marketing. Marketing is not mere sales or advertising. It is much more. Marketing is how a company positions and defines itself and how it “relates” to people’s needs. It includes what it claims to meanin people’s lives. Marketing includes “brands” which can capture loyalty and take on a human-like personality. Brands can become a part of an individual’s identity and can define (in the people’s minds) their positions in society. Marketing messages and brands have replaced — for many people — the values of religion, family, nationality and even language in terms of defining and guiding these people’s views and relationships. Think of poor kids in slums willing to kill for certain brands of sneakers or the power of brands in clothing, fashion, cars, retail stores. Consider how marketing and brands have led people to pile up debt. With marketing playing such a powerful role in modern life, when it becomes fraudulent, it does enormous harm and gains control over very large numbers of people, just as, in the past, corrupted religious leaders, dictators and political movements led millions of people into self-destructive and terrible actions. Marketing frauds — like corrupted religious sects and political movements — gain their power over people primarily by identifying themselves with high values, goals and needs. Pyramid schemes, for example, often claim to be super-patriotic, Christian, to embody the true spirit of freedom, to be the champion of the average man, and the defender of family values. Most schemes claim to be fulfilling the values of the American Dream, to be the only true capitalism, and that all other types of business are doomed, corrupt or obsolete. Some of the schemes claim to be directed by God and that their leaders are messengers of God. In fraudulent marketing, such claims are not just exaggerations. These are calculated lies. Pyramid schemes, in fact, harm the economy, impoverish the average person, violate laws, engage in coverup and deception, distort religion and break up families. The leaders, while appearing pious and patriotic, are seasoned charlatans overseeing the deceptive marketing and facilitating the losses to 99% of all who follow them, year after year. All marketing makes promises to meet crucial and personal needs of people. Often the needs are psychological, sexual or spiritual as well as financial. The most powerful marketing promises to meet the greatest and highest needs. Today’s marketing frauds make extraordinary promises that no legitimate company dares to make. At the heart of the pyramid fraud is the false promise of income. Sometimes this is referred to as “alternative” income, “residual” income, and “extraordinary” income. It is claimed to be “recession-proof”, a safe alternatives to private business ownership, an alternative to employment in corporations, offering “unlimited” wealth, and to be the “greatest income opportunity in the world.” Everyone who joins is said to be among a special community of “winners” and to have a unique opportunity to become wealthy. The luxurious lifestyles of those at the top are flaunted as the evidence that this “unique” opportunity is available to all who invest. This promise of income made by pyramids and Ponzis meets one of the most basic needs of all, the need to work and to survive and support a family. During a Recession the power of this promise is increased even further. As the self-proclaimed provider of financial security, the marketing fraud can raise great hopes among huge numbers of people. The claims and promises that raise such hopes flow from the fraud’s primary false claim to offer financial security through a unique income plan – the multi-level marketing, or “unlimited” recruitment program. It is this basic and promise that is the source of marketing fraud’s power. This income promise is a terrible lie. The “endless chain” income scheme, in fact, dooms 99% to losses. It only transfers money from the bottom to the top, rather than generates profit for all by creating value. Those who fall for the lie can run up great debt and lose their life savings. Much worse, the fraud leads people to prey upon their friends and neighbors in a futile effort to become part of the 1% of recruiters at the top that benefit from all the other people’s losses. Pyramid and Ponzi frauds use all the powerful aspects of modern marketing — branding, product claims, positioning (social class, ethnic, family, patriotism, religion), identity, community, hope and meaning — as tools of deception. 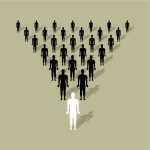 Currently, the “endless chain” or pyramid scheme pay plan is illegal in some states, but the laws are seldom enforced. Though such plans are defined by the FTC as “unfair and deceptive trade practices,” the FTC mostly stopped enforcing the law in 2000 and has not renewed law enforcement since. The SEC does not require that shareholders of companies that gain their revenue from endless chain incentives be informed of how endless chains work. Shareholders are not told that as the chain expands, the opportunity for continued growth must diminish and that while they do operate, 99% of the consumers always lose their money. And so, Wall Street helps to finance Main Street marketing fraud, just as it did product frauds and, most recently, the terrible financial frauds of Enron, Worldcom, the great mortgage collapse and the Bernard Madoff Ponzi scheme. Marketing fraud remains the new frontier of public understanding, law enforcement and Wall Street reform.